“This is a strategic oversight that has led to many missed opportunities for our country. I am determined to correct this,” he said during his departure message at the F. Bangoy international Airport in Davao City Monday. 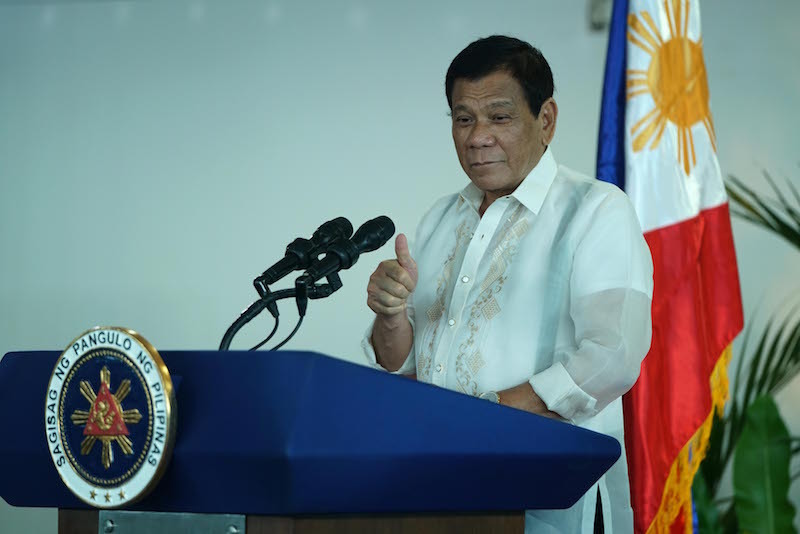 Duterte made the pronouncement after announcing the administration was rejecting grants aid from the 28-country European Union, which has been critical of his bloody war on illegal drugs. In October 2016, Duterte said the country would distance itself militarily and economically from the US to chart a more “independent foreign policy”. Duterte’s critical stance against the US and the EU has been contrasted with his friendly overtures towards China and Russia. He added that his administration will give Philippines-Russia relations the attention that is commensurate to its full potential. He said he will meet with Russian President Vladimir Putin and Prime Minister Dmitry Medvedev in Moscow and discuss bilateral cooperation in the sphere of political security, and increased economic, cultural, and people-to-people exchanges. He said he and the Russian leaders will chart a future direction for bilateral relations, in particular regional and international cooperation. He said he will also take this opportunity to encourage Russian business leaders to forge partnerships with their Filipino counterparts. “Philippines means serious business,” he said. The President added that he will show to the Russian youth that “we seek nothing but friendship” based on mutual respect. He said his official visit will lay a firm foundation for a robust and comprehensive mutually beneficial Philippine-Russia partnership with shared aspiration for sovereignty, equality, and pragmatism. “There is room for growth, there is room for positive change,” he said. To sustain the Philippine’s economic growth, Duterte said that they seek to find responsible economic partners to become allies in development. The president is also expected to meet members of the Filipino community in Russia.